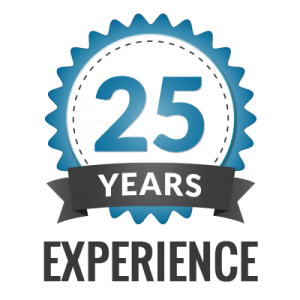 R & R Fencing has over 25 years’ experience helping hundreds of Perth households and businesses stay safe and secure with top quality fencing supplies. We are small family run fencing manufacturers specialising in producing and installing stylish, affordable fences made entirely from the best Australian steel. As experienced manufacturers and installers we pride ourselves on delivering your ‘made to measure’ order on time and on budget. Our standard product range can be with you in just 3 days. We can also arrange same day pick up from our new factory outlet in Kelmscott. We are committed to maintaining very competitive pricing for all our trade and public clients across our entire product range. We work to exceed our clients’ expectations and we will never ask you for a deposit. At R & R Fencing, we are quietly confident that our commitment to being the best at what we do, guarantees you a great experience with our business. We thrive on word of mouth recommendations from loyal clients who trust us to provide expertly installed, high quality products and personalised service. Our service begins with an obligation free quote tailored to fit your needs for supply and installation or supply only. For our country clients the quote includes packaging and delivery using your preferred transport company.